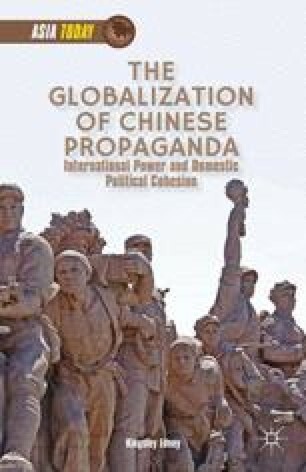 The use of propaganda practices is deeply embedded in the Chinese political system and is a key aspect of how the Party-state exercises power in contemporary domestic politics. In one sense this is visible in the way that the political bodies linked to the central propaganda authorities form a vast network of institutions that operate at all levels of the political system, from the elite central leadership down to the level of village and neighborhood organizations, and control all areas of public discourse. In terms of the practical exercise of power, however, we can also see that propaganda practices have remained an integral component of the Party-state’s day-to-day repertoire of governance techniques, despite changes to the context in which it implements such techniques. As the communicative and technological aspects of globalization have challenged the Party-state’s ability to control public discourse in China, the Party-state has not given up on its use of propaganda practices but has instead adapted them to ensure their continuing utility. Thus far it has been remarkably successful at achieving this objective, although the task is ongoing and requires significant attention and resources.